Fall Football with the Green Bay Packers Is Back for Another Season! Summer of 2018 has passed by in what seems like the blink of an eye. Labor Day weekend was another fabulous one in Green Bay, and it brings us to one of our very favorite times of year; fall football season! The fall colors are beginning to turn, which is always an exciting time of year. But more importantly, it’s almost time for the Green and Gold of the Green Bay Packers to take center stage again. The season opener kicks off at Lambeau Field on Sunday, September 9, 2018. Whether you’re a season ticket holder or here for a single game, don’t miss your chance to stay at our historic Bed and Breakfast. Our rooms book up quickly during football season, so plan ahead and book your room at our Green Bay Bed and Breakfast today! The Green Bay Packers are a legendary football team, with quite an interesting and storied history. They were first organized in August of 1919 in downtown Green Bay. The team is named after their original sponsors, the Indian Packing Co., with games then-played at Hagemeister Park. Curly Lambeau was the first team captain, who took that first team on to a winning season. Though they didn’t officially join the NFL until 1921, 2018 marks the Green Bay Packers’ 100th year as a football franchise. A century in the making, this year’s football season will feature a 16-month celebration of the Packers’ history, culminating in the franchise’s 100th birthday on Aug. 11, 2019. A wide variety of events and activities will take place over the next several months, with fans and community members invited to join in the numerous festivities. We can hardly wait to kick off another exciting season of football here in Green Bay! If you’re here for opening weekend (or any other game throughout the 2018-19 season), there’s a lot going on! 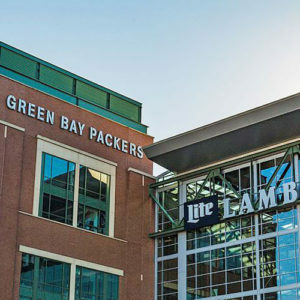 Kick off an entire day of fun at a local tailgate party that is open to the public, take a tour of the new Titletown District, take the Walk of Legends Tour, or jump on board for a Packers Heritage Trail Trolley Tour. 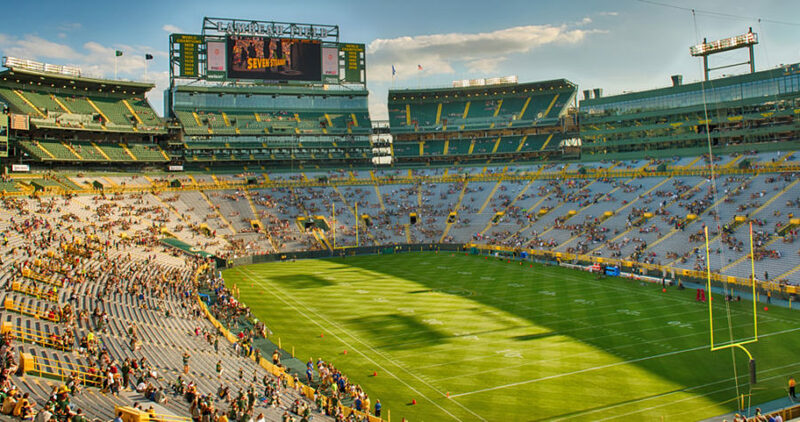 During your stay in Green Bay, we definitely recommend a visit to Lambeau Field for a stadium tour, where you’ll see the legendary Packers Hall of Fame. In honor of the Packers 100 Seasons celebration, there will be a free concert at Lambeau field featuring Steve Miller Band the night before the game, on September 8, 2018. All of this and more is at your fingertips when you stay with us at the Astor House Bed and Breakfast, located just minutes from Lambeau Field and downtown Green Bay. Book your rooms with us before it’s too late!